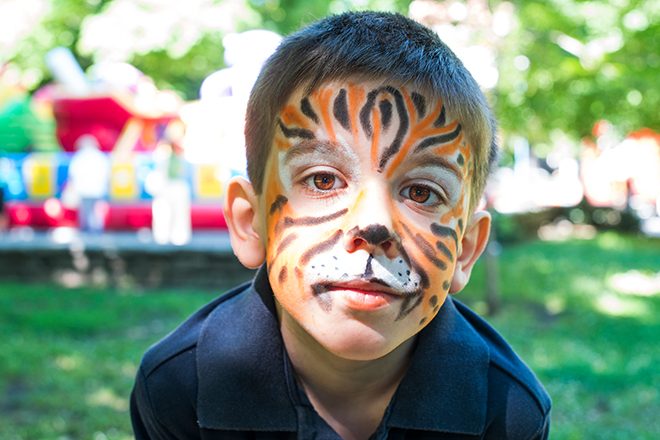 AGS Movers Belgrade’s face painting stand at the British International School’s Spring Charity Bazaar helped raise funds for two local orphanages, Dom Dragutin Filipovic – Jusa and Dom Jovan Jovanovic – Zmaj. Equipped with monster faces, the school children played in the bright spring sunlight on the bouncy castle, soaked their teachers, knocked down tins, sang and marveled at the Malaysian Dancers’ routine. The event, which took place in May, raised over 310,000 Serbian dinars (approx. 3,370 USD) for the care of orphaned and abandoned children. AGS Belgrade also attended the Malaysian Embassy Fair on 26 May, exhibiting our moving services and enjoying the great fun had by all.